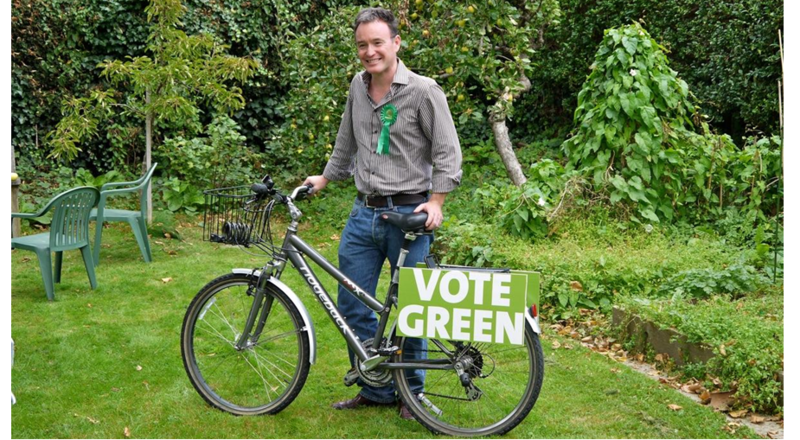 Alexis Rowell for a Greener Camden: Do we need a Camden Pound? Do we need a Camden Pound? The Totnes Pound was the first local currency of the Transition era. It was launched in March 2007 and was convertible one-to-one with the pound sterling. Lewes was next in September 2008 (although they did have a local currency from 1789 to 1895!) 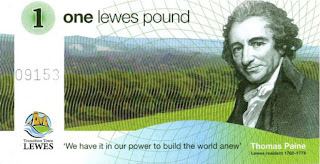 The big difference from Totnes was that Lewes had their currency printed on high security paper with watermarks, serial numbers and other hidden security features so Lewes Pounds looked and felt like real money. 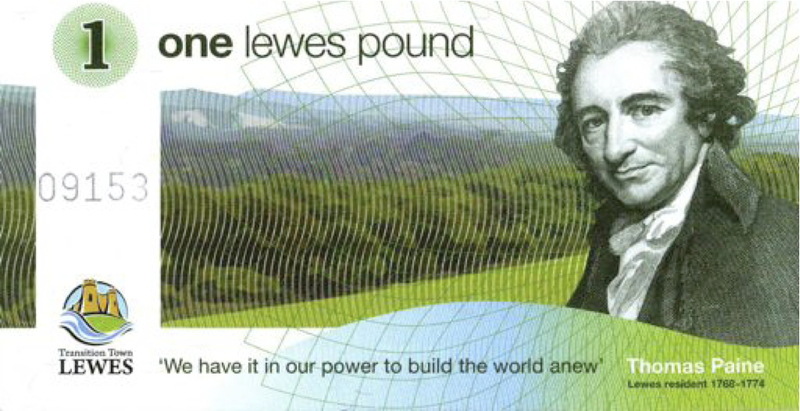 Earlier this year the Lewes Pound organisers introduced a cashback scheme whereby those using Lewes Pounds would be given “free” Lewes Pounds when they spent a minimum amount. The Stroud Pound was launched in September 2009 and introduced the concept of demurrage, where the currency reduced in value by 3% every six months to encourage people to use it. At the end of a six month period, holders of Stroud Pounds need to buy a special stamp to stick on their notes if they want to use them. In February of this year the directors of the Stroud Pound introduced an additional incentive – when you exchange £10 sterling you get 11 Stroud Pounds. 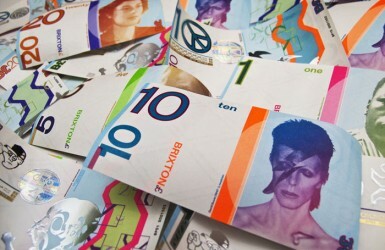 The Brixton Pound (above), which was also launched in September 2009, was the first urban currency and the first to go electronic. From September 2011 – users could also pay in Brixton Pounds by text message on a mobile phone. The Bristol Pound, which is due to be launched this summer, has been enthusiastically supported by Bristol Council. The currency is to be issued by the Bristol Credit Union and will be accepted for payment of business rates by the council.